I am a Ph.D. computational astrophysicist and open science devotee. I work for Giant Army as Staff Astrophysicist and Developer on Universe Sandbox, an N-body physics simulator sandbox game currently available on Steam. Prior to that I was working for the Department of Statistics at Columbia University studying open coding, open data, big data management, and statistical issues of reproducibility in the sciences. A major focus was a project called ResearchCompendia.science. ResearchCompendia.science is a web service that allows researchers to run codes associated with scientific publications. The service allows authors of publications to create companion websites on which others may reproduce the paper's results or run their own parameters. The service only requires a web browser as all calculations are done on dedicated cloud resources. ResearchCompendia is operated as a non-profit, and all services are free. Prior to that I worked in numerical relativity. I have ten years of experience designing, developing and testing massively parallel numerical simulations that evolve highly non-linear partial differential equations (the Einstein Equations) in three or more dimensions for dynamical systems (close binary black holes and neutron stars). Though my degrees are in physics, and astrophysics, I have very strong and unique computer science background in software development and testing, numerical simulations, analysis, database management, and cluster management. My main operating system is Linux (though I use OS X since NASA). I have extensive experience with both independent and large scale collaborative software design, development, and testing. I have experience developing for parallelized simulation software (Cactus and Carpet), for distributed computing software (Einstein@Home), game development in C# and Unity (Universe Sandbox), and developing and working with visualization software (DUSTVis). I have a lot of experience with versioning systems (Git, SVN, CVS), and database management. My personal simulation codes are usually C++ (parallelized with OpenMP or MPICH). Smaller simulations are written in Python or Java. Collaborative simulation codes are sometimes Fortran. 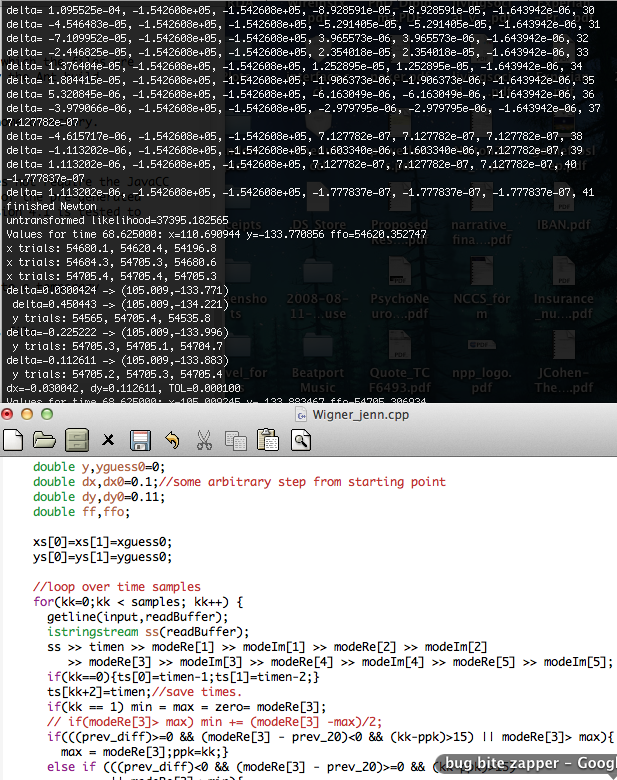 For analysis I use Python, R, Gnuplot, Octave, Matlab, Mathematica, or Maple. The scripting for simulation management and analysis I usually use Python, Ruby, bash, or Perl. I am always quick and eager to learn new languages and skills. From 2010 to late 2012 I occupied a NASA Postdoctoral Position (NPP) in the Astrophysical Sciences Division at NASA Goddard Space Flight Center doing numerical relativity and gravitational astrophysics related to the (2012 de-funded and soon to be refunded) LISA mission (Laser Interferometer Space Antenna) and relevant to LIGO (Laser Interferometer Gravitational-Wave Observatory). I received my Ph.D. from the Leibniz University of Hannover, Germany for research at the Max-Planck Institut für Gravitationsphysik (Albert Einstein Institute) in February 2010 for the thesis "Numerical Simulation of Binary Black Hole Spacetimes and a Novel Approach to Outer Boundary Conditions". I am currently living in Washington, DC. 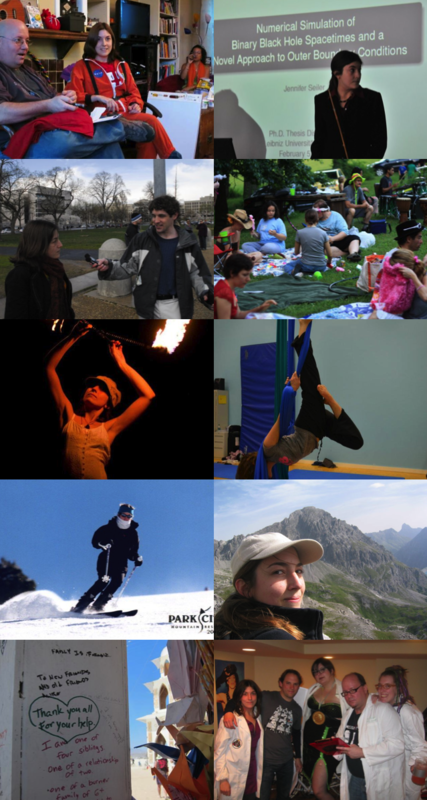 In my free time I occupy myself with open source projects, Coursera/EdX/Udacity classes, electrical engineering projects, interactive public art, fire spinning, and rock climbing. I like hunting dragons, I like rapid prototyping and I get compulsively excited about results on the horizon. I am never bored. I am passionate and hard working, but I also enjoy life and am very engaged. I do not believe these two things are separate, nor do I believe they need to clash. I work for Giant Army on improving the physics, planetary science, and astronomy of Universe Sandbox. The game is a physics-based space simulator that allows users to simulate galaxies, planetary systems, climates, collisions, cosmological structure formation, and so much more. I worked for the Department of Statistics at Columbia University researching issues of reproducibility, stability of models, and issues of open data and code in the sciences. A major focus is a project called ResearchCompendia. ResearchCompendia is a web service that allows researchers to run codes associated with scientific publications. The service allows authors of publications to create companion websites on which others may reproduce the paper's results or run their own parameters. It is entirely open source. Extended postdoctoral position in the numerical relativity group in the Astrophysical Sciences Division for the LISA (Laser Interferometer Space Antenna) project. Numerical simulation of binary black hole spacetimes, electromagnetic counterparts to black hole interactions, and matter fields around binary black hole systems. I developed original code for the large scale simulations, data management, and both on-the-fly and post-processing data analysis of the precession of spins in binary systems. 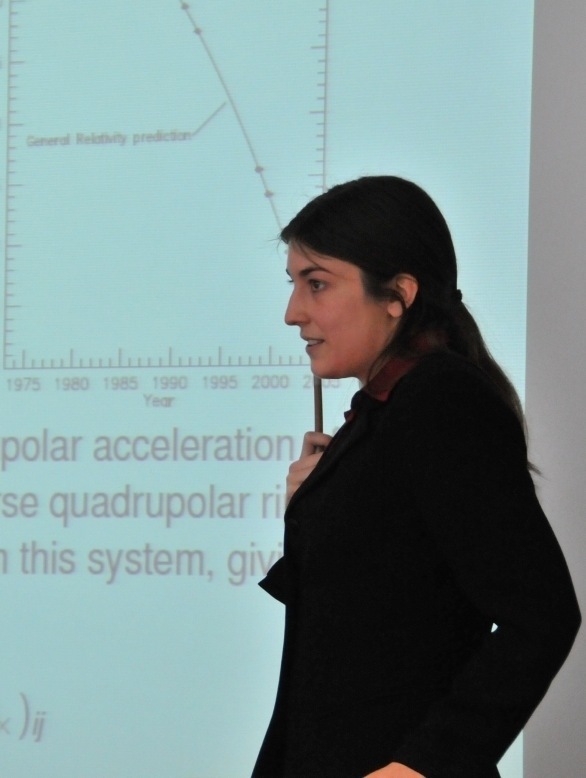 PhD work on numerical simulations of black hole spacetimes. My focus was on well-posed constraint preserving boundary conditions. With additional work on constraint damping methods, gravitational wave detectability, and phenomenological wave forms and predictions for binary final spin and kick. I wrote original code for all of these tasks, and ran a gamut of large simulations to cover the parameter space managed by my own job-running scripts and data management scripts. Visiting scientist in Potsdam, Germany. I wrote a parallelized numerical code to generate initial data and evolve a simulation of the propagation of gravitational waves off a potential in a three dimensional coordinate system and track constraint propagation and violation. Worked for Prof. Saul Teukolsky on software for the visualization and analysis of numerical simulations of solutions to the Einstein equations. These included inspiraling neutron stars and black holes systems, binary black holes, and accretion disks. Called DUSTVis, it is an OpenDX visualization program designed to be used with the Caltech/Cornell DUST algorithm. Designed software for an industrial chemical waste exchange program, titled the National Trash to Treasure Network, for submission to the EPA as a project for voluntary participation offered to companies as an alternative to fines. A company can list its waste chemicals, or search for chemicals it needs. A learning algorithm finds other chemicals with similar properties for the buyer and evaluates the cost of transportation and processing. Participated in the Internship for Physics Majors Program (IPM). I designed and programmed the track-finding algorithm for the Level 1 Trigger Code for the BTeV project. After finding tracks, it looks for detached tracks which signify an exotic decay, on-the-fly in the detector firmware to determine which of the terabytes of incoming data to store, and which to dump. I decreased false positives 17%. Worked in the Electronics Science & Technology Division on the optimization of natural growth of Silicon dioxide, SiGe, and SiC samples via Molecular Beam Epitaxy. Experimented with the temperature and surface segregation dependencies of Phosphorous doping rates via Molecular Beam Epitaxy. I worked in the National Superconducting Cyclotron at Michigan State University. I wrote data analysis code in C++ and did the analysis of data collected of Gold on Gold collisions at energies from 20-60 AMeV for a better understanding of flow through in stellar core collapses. J. Seiler. Numerical Simulation of Black Hole Spacetimes and a Novel Approach to Outer Boundary Conditions. Leibniz Universität Hannover Physics Library. L. Rezzolla, P. Diener, E. N. Dorband, D. Pollney, C. Reisswig, E. Schnetter, J. Seiler. The Final Spin From the Coalescence of Aligned-spin Black-hole Binaries. 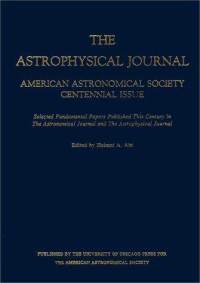 Astrophysical Journal 674 (2008) L29. L. Rezzolla, E. Barausse, E.N. Dorband, D. Pollney, C. Reisswig, J. Seiler and S. Husa. On the final spin from the coalescence of two black holes. 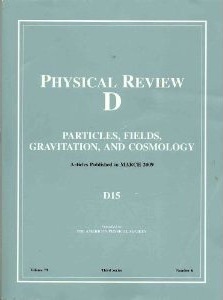 Physical Review D 78 (2008) 044002. J. Seiler, B. Szilagyi, D. Pollney. Constraint Preserving Boundaries for a Generalized Harmonic Evolution Systems. Classical and Quantum Gravity 25 (2008) 175020. B. Aylott, et al. (including J. Seiler). 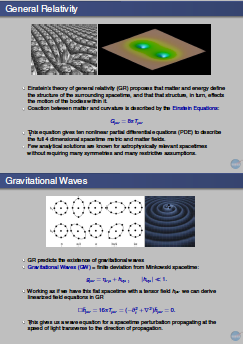 Testing gravitational-wave searches with numerical relativity waveforms: Results from the first Numerical INJection Analysis (NINJA) project. Classical Quantum Gravity 26 (2009) 165008. B. Aylott, et al. (including J. Seiler). Status of NINJA: the Numerical INJection Analysis project. Classical Quantum Gravity 26 (2009) 114008. C. Reisswig, S. Husa, L. Rezzolla, E. Dorband, D. Pollney and J. Seiler. Gravitational-wave detectability of equal-mass black-hole binaries with aligned spins. Physical Reveiw D 80 (2009) 124026. 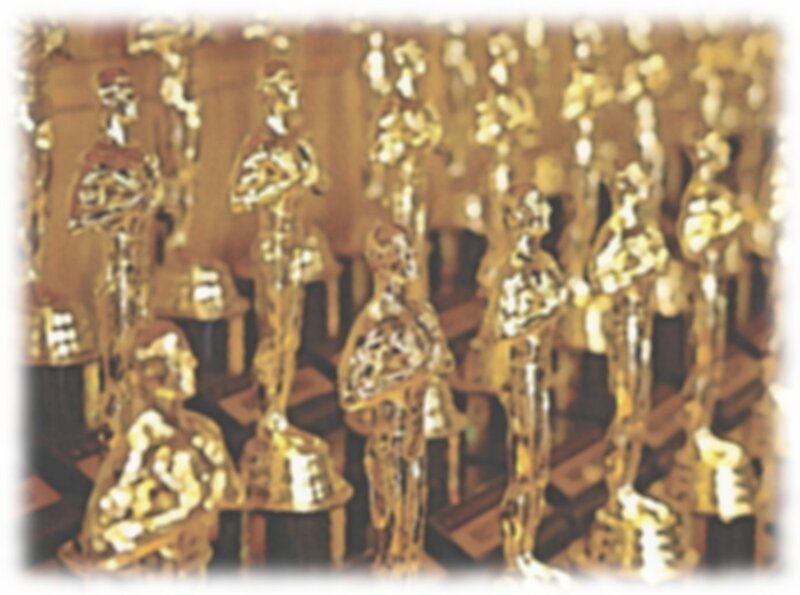 L. Santamaria, F. Ohme, P. Ajith, B. Bruegmann, N. Dorband, M. Hannam, S. Husa, P. Moesta, D. Pollney, C. Reisswig, E. L. Robinson, J. Seiler, B. Krishnan. Matching post-Newtonian and numerical relativity waveforms: systematic errors and a new phenomenological model for non-precessing black hole binaries. 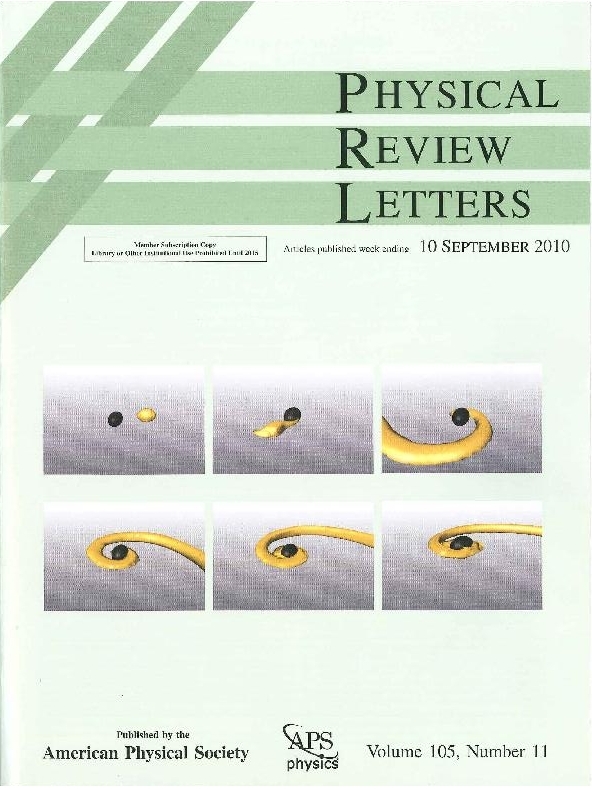 Physical Reveiw D 82 (2010) 064016. P. Ajith, M. Hannam, S. Husa, Y. Chen, B. Bruegmann, N. Dorband, D. Muller, F. Ohme, D. Pollney, C. Reisswig, L. Santamaria, J. Seiler. ``Complete'' gravitational-waveforms for black-hole binaries with non-precessing spins. Phys. Rev. Lett. 106 (2011) 241101. V. Stodden, S. Miguez, J. Seiler. ResearchCompendia.org: Cyberinfrastructure for Reproducibility and Collaboration in Computational Science. IEEE Computing in Science & Engineering 17(1) (2015) 12-19. V. Stodden, J. Seiler, Z. Ma. An empirical analysis of journal policy effectiveness for computational reproducibility. Proceedings of the National Academy of Sciences 115.11 (2018): 2584-2589. "ResearchCompendia: Connecting Computation to Publication"
"Binary Orbital Dynamics from the Analysis of Spherical Harmonic Modes of Gravitational Waves"
"Gravitational-wave Detectability of Black-hole Binaries With Aligned Spins"
"Numerical Simulation of Binary Black Hole Spacetimes and a Novel Approach to Outer Boundary Conditions"
"Final Spin from Binary Black Hole Coalescence"
"From General Relativity to Black Hole Observation"
"Constraint Preserving Boundary Treatment for the Einstein Equations in 2nd Order Form"
"2nd Order in Space Constraint Preserving Summation by Parts Boundaries"
"Constraint Preserving Boundary Treatment in 2nd Order Form"
"Boundary Treatments for the Einstein Equations in 2nd Order Form"
"Generalised Harmonic Coordinates in 2nd Order"
"Generalised Harmonic Coordinates using Abigel"
Adult "Science! Party" Science Fair organizer & judge. Universe Sandbox is a Physics simulator sandbox game. It has live N-body newtonian gravity simulation, collision physics, climate simulation, stellar evolution, magnetic fields, terraforming, materials phase tracking, and educational tutorials. As the astrophysicist, and a developer on the team, I have developed stellar evolution simulation, magnetic field simulation (including pulsars), life likelihood simulation, climate simulation for generic planets, volatile tracking (for things such as Jeans Escape, solar wind erosion, material drag, and many other incident fluxes and internal sources of mass loss) and much more. There seems to be no end to the features we can add. I also want to add Post Newtonian corrections for simulations black holes and neutron stars. The Cactus Computational Toolkit (CCT) is an open source problem solving environment designed for scientists and engineers. Its modular structure enables parallel computation across different architectures and collaborative code development between different groups. The name Cactus comes from the design of a central core ("flesh") which connects to application modules ("thorns"). Thorns can implement custom developed applications. Other thorns from a standard computational toolkit provide a range of computational capabilities, such as parallel I/O, data distribution, or checkpointing. 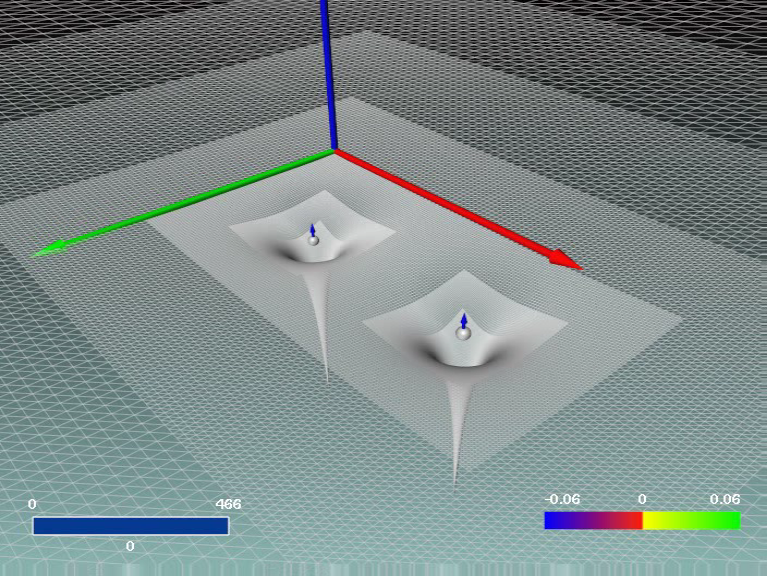 The Einstein Toolkit addresses computational relativistic astrophysics, supporting simulations of black holes, neutron stars, and related systems. "Carpet is an adaptive mesh refinement and multi-patch driver for the Cactus Framework. Together they form a software framework for solving time-dependent partial differential equations on block-structured grids. Carpet acts as driver layer providing adaptive mesh refinement, multi-patch capability, as well as parallelisation and efficient I/O." I contributed to the optimization, IO, memory allocation and parallelisation, and scalability. 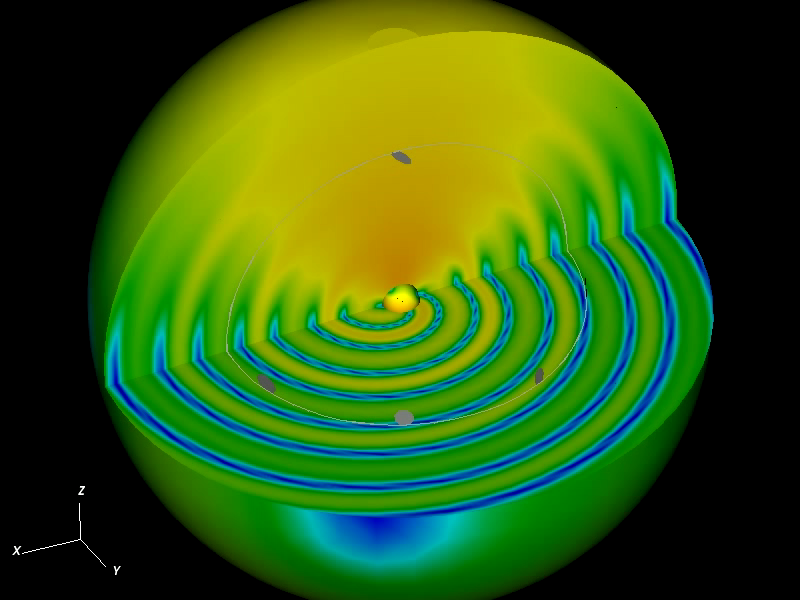 In my time at Cornell I helped develop on software for the visualization and analysis of numerical simulations of solutions to the Einstein equations. 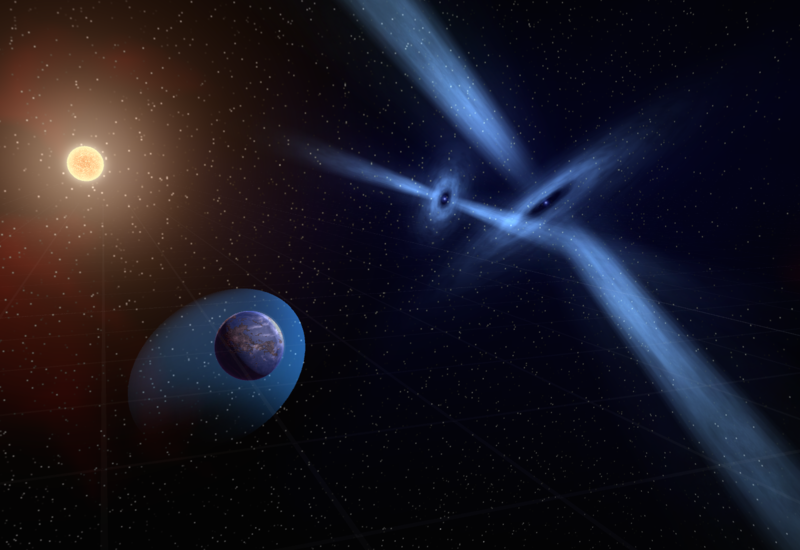 These included inspiraling neutron stars and black holes systems, binary black holes, and accretion disks. Called DUSTVis, it is an OpenDX visualization program designed to be used with the Caltech/Cornell DUST algorithm for visualizing data from multiple three dimensional grids with multiple coordinate systems. In additions to the coordinate transformation and C++ OpenDX module boxes for visualization, I developed a UI for both the data IO, and the visualization parameters. Developed a phenomenological formulae to predict the final spin, recoil, and orientation of a merged black hole given only initial data from the originating binary system. We worked with data analysts with the LIGO detector in the NINJA project to test how successful our detector pipelines would be at identifying signals matched against the database of our numerical waveforms. We matched post-Newtonian waveforms for binaries with large separations to numerically generated waveforms for close in binaries where only numerical simulations can deal with the non-linearity of the system to produce very long and accurate waveforms for GW detection. 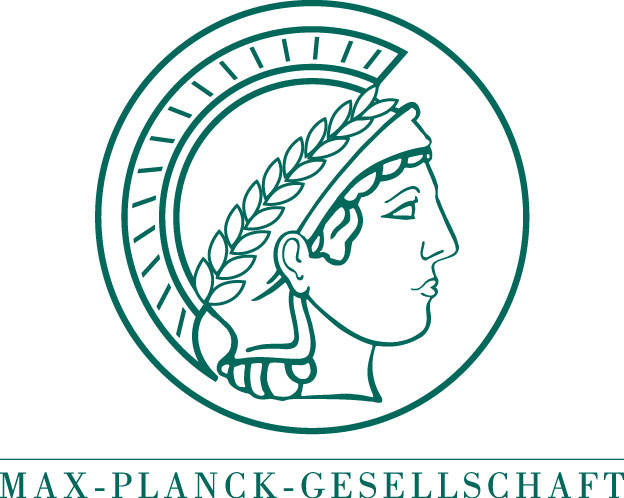 I received a fellowship from the International Max-Planck Research School to do my PhD at the best institution in the world for numerical relativity, the Max-Planck Institut für Gravitationsphysik (Albert Einstein Institute). 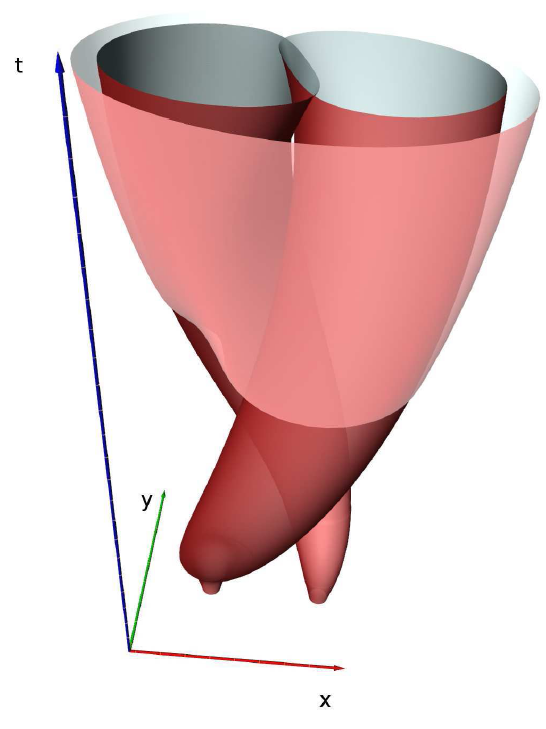 They have super-computer clusters devoted exclusively to relativity, and a large scale collaborative "toolkit" for numerical simulation called Cactus, written in C++. With gravitational wave detectors at design sensitivity the need for numerical GW templates for signal recognition by detector pipelines is an urgent problem. With that in mind, and the fact that binary black hole inspirals and mergers are the strongest potential source for GW signals, my research focused on improving numerical simulations, and on the generation of GWs both for detector templates and for astrophysics. I formulated a set of boundary conditions for artificial boundaries for a first order in time and second order in space formulation of the Einstein equations. I showed that these conditions reduce noise, reduce constraint violation, and increase stability for 3D simulations. My boundary conditions are now used in numerical simulations both within and outside of the field of numerical relativity. Remote executability of contributed code for a variety of coding languages and frameworks, and enhancing output presentation. DataCite DOI issuing for compendia, and uploaded code and data objects. Customized portals for journals and institutions requiring differential access and tracking. Entirely open source platform written in Django (python). We will provide tools to share and archive the data, codes, documentation, parameters, and environmental settings linked with published research all in one place. We support the verification and validation processes by providing for the remote execution of shared codes in our cloud resources, and the visualization of results. Most of all we make these tools heavily automated, and easy to access and utilize to lessen the exertion required from already overburdened academic researchers in the process of publishing fully reproducible work. I designed software for an industrial chemical waste exchange program, titled the National Trash to Treasure Network (NTTN), for submission to the EPA as a project for voluntary participation offered to companies as an alternative to fines. A company can list its waste chemicals, or search for chemicals it needs. A learning algorithm finds other chemicals with similar properties for the buyer and evaluates the cost of transportation and processing.